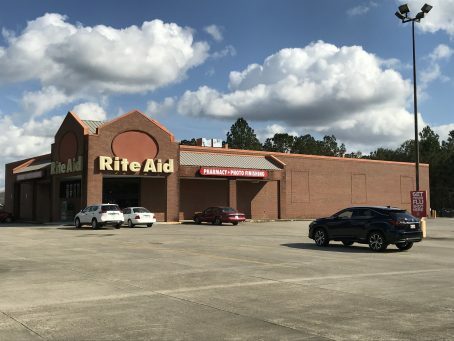 Freestanding former Rite-Aid building available in Picayune. The property is located on a busy stretch of Memorial Blvd (Hwy 43) which includes a Walmart Supercenter, Home Depot and many other national retailers. The 15,000 sq. ft. building has plentiful parking and excellent visibility just a few blocks from I-59. Total site size is 109,286 sq. ft.